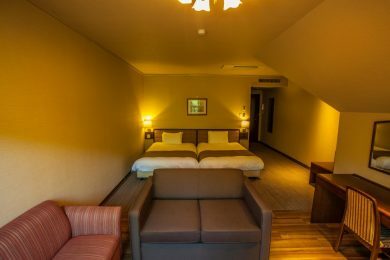 Takayama Dog Paradise is a resort hotel located at the historical Hida Takayama, famous for its sightseeing spots. With endless nature surrounding the area, let your pet dog run free at this hotel. 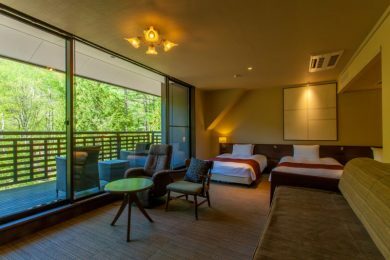 Savour a variety of carefully curated seasonal Japanese cuisine from Takayama while basking in the surrounding forests of Okuhida. 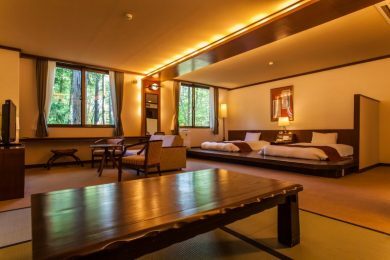 Relax in this outdoor Hida Takayama onsen thanks to the completely private atmosphere. Enjoy this elegant outdoor cypress bath and warm yourself up after a tiring day out. Take a dip in this private stone bath that has a great ambience. 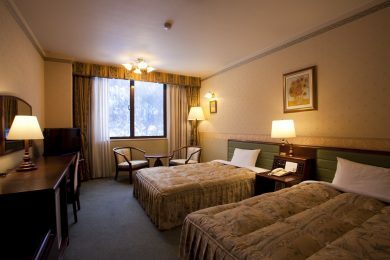 Bring your pet dog too where they can enjoy in their own tub while you relax in the hot springs. 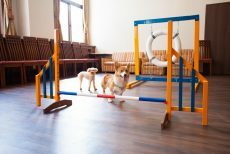 Allow your dogs to run free in acres of space at this dog run where they can experience a fun adventure all year round. Give your pet dog a new look at this salon thanks to its experienced hairdressers. 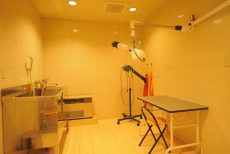 Doll up your pet dog in this self-grooming room with all equipment provided for your convenience. 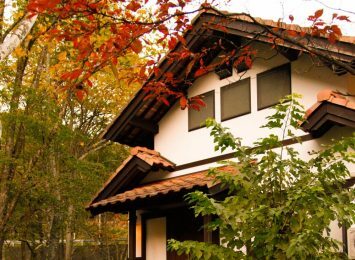 Take a stroll around the resort's surrounding nature and immerse yourself in the fresh mountain air for a great start to the day.